This stylish and contemporary looking St Christopher pendant will guide and protect you wherever you go. It comes with an 18" curb chain. 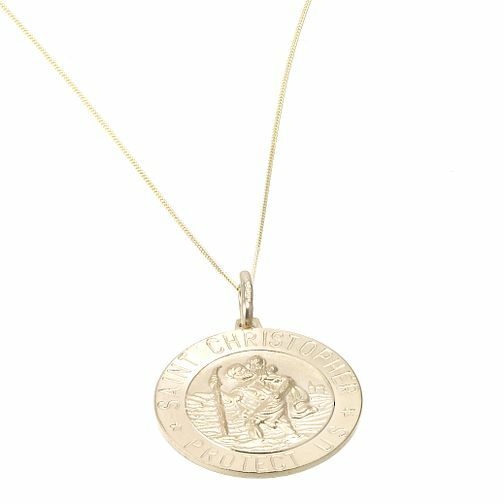 9ct Gold Large St Christopher Pendant is rated 5.0 out of 5 by 2.